How did it all start, who are the key players and was a specific group of people targeted? Well it was a political situation, the members of the party wanted to transform the party to become democratic but the president wasn’t having it. Some of the members of the party also wanted to run for chairmanship of the party and the president was not happy. What does he do next? He fired the entire cabinet. This is the SPLM party. 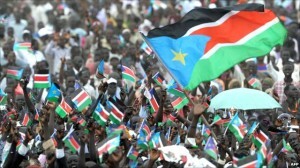 The party that brought independence to South Sudan. So the president starts to tell the army guys: these people are going to mess up my leadership! He further went ahead and dissolved and broke the constitution of the party. After this, those in the party who wanted democracy were frustrated and so they went to the media and said “This is what our president is doing, breaking laws, destroying the party, he’s not supposed to do so and so”. And then what happened is, after the cabinet had been put down, the government tried to find a way to arrest all the political strong voices in the country, of course in the name of corruption, they started arresting them! Of those arrested were people like Pagan Amum, Kosti Manibe, Deng alor, I believe three leaders were arrested accused of corruption; so the president is putting people who suggested all this issues in jail. The presidential guards went to Nuer areas and started killing Nuer civilians. For two days, knocking on doors and killing people, you know! You know the beautiful thing is how south Sudanese rescued themselves.. The Dinka and the Nuer’s! Because it could have gotten worse. When violence spread when the Nuer people were being killed in Juba! So when the Nuer started a rebellion in other areas what happened is that some people were not controlled, so when they found a Dinka person they revenged because they were angry, Nuer’s had been killed in thousands, the intellectuals, the students, all those who went for holidays, they were stuck there, that’s how many people died. Stranded in Juba. My cousins have died in juba. My friends that I ate with have died there. My brother recently got killed in Bentiu and the way he got killed is, when the government came to the area, he remained there because he thought the government was going to protect him, but instead they caught him, asked him to call his brother, my small brother picked the phone and then they killed him, then told my small brother we are looking for you. (Our condolences; Tap) It ok I just have to tell the story. What sad is, the soldiers were wearing uniforms while killing people, you know! The rebels as well have committed atrocities out of anger, but if you compare the rebels and atrocities they have done is little compared to what the government has done. Because they managed to control themselves you know, they are out in the sky, lawless, if they wanted to commit genocide they would have just gone to the villages and shoot people. Their mission is why is the government killing civilians? Moreover, now they know about something called democracy! Which is what the political wing was fighting for. So now, the politicians have created an ally. The civilians who were angry at the government for murdering their people and those who were in government before but wanted a democratic state and got kicked out have joined hands. Before the killings, the democratic guys had no army. They were running scared and hiding. Now they’ve got an army because these civilians were targeted, mostly because they were from the tribe of one of the political leaders, the Nuer! Its been happening from December 15th up to now. And now you have Uganda involved, its supposed to be on the table to negotiate the peace process and help peace happen but instead, it’s sending troops to fight along with president Kirr, you know? They are inciting more violence. It’s gonna look like an ethnic cleansing because the rebels the majority of them are from the Nuer tribe, well there’s a few other tribes involved and almost maybe 0.1% Dinka’s fighting with them. So if you gonna fight Uganda, they come with airplanes, they are using B30 and using certain chemicals to drop at people that are civilians. They are fighting civilians who have AK 47, who have baby guns! So let’s say if they end up killing 50, 000 of them fighting the government, that’s ethnic cleansing! Also, you have to understand why these people (Uganda) are fighting and helping Kiir out! It’s not complicated. Its not a tribal war, its an economical war that is twisted to look like political. Because it’s the control for resources. Most of those resources come from the Nuer areas and they never benefit. So if Uganda comes in, they must have a stake. And now I hear Rwanda is also sending in troops, you know? And Rwanda should learn from what has happened to them before. If the people of the country cannot fight for you and keep you in power, then something is wrong. If your going to look for another country to come and keep you in power, it means something is wrong. Succession of hostilities from both rebels and the government, the rebels are saying, release the political prisoners so they may come and help us in the cease fire process, negotiate and put light into what happened. Because the investigation has been done, and there’s not enough evidence, clear evidence to show that there was a coup. The only other people who say it’s a coup, it’s Uganda and South Sudan government. The Kenyans have not confirmed, the Ethiopians have not confirmed that this is a coup. So the release of the political prisoners will speed the peace process. Then the other thing now is, the presence of foreign troops is inciting more violence, because it’s bringing fear, its forcing people to submission to the president that they have issues with. The best situation is a political situation, not chasing one side out by force because there’s no winning here, its our resources. My biggest worry is now that the country is at war. The land is sold, by the time the war is over; all the resources will be sold. By the time we have a government, the government will be in debt, they are probably funding Uganda. You know it’s so expensive, to fly from Uganda to South Sudan to go and just bomb people. Just buying those ammunitions is expensive; it could probably cost hundreds of thousands of dollars just for one mission/trip. Because you have to have insurance, you putting in fuel, you are buying those weapons to go and shoot . The army, engineers, medical teams, the flying back and forth, there’s so much cost and money involved and guess who is paying for this! The history of the Dinka Vs Nuer!! Their history is complex, because if you go and look in their history, they always fight themselves, and if a foreigner comes, then they stop for a bit, join hands with each other and fight that foreigner. In Khartoum for example, if an arab guy slapped a Dinka guy, if there’s a Nuer guy around, he would risk his life, jump in and try to defend the Dinka guy, and they would beat up the Arab guy, even if they had issues with each other they would leave them for that moment and fight later after they’ve dealt with the Arab guy! But its true, they have deep historical issues where they laid each other for cows and in the colonial times, the obvious divide and rule tactic and many other issues helped divided them. Also, it’s important to note that the Nuer people have always been resisting. For example, the Dinka people allied themselves with the colonials during that times. As a result, the Dinka got more opportunities to go to school. On the other side, the Nuer people were not educated. When the colonials were being kicked out, arabs realised the military strength the Nuer people had, so they joined hands with them and tried to mobilize Dinka’s and other Africans, and they kicked the colonials out of the country. But even after the colonials were kicked out of the country, the Nuer people were still left behind. They were not given access to go to school. So politically, they have never been strong. They were more interested in their village. That’s why its hard for them to communicate the things that happens to the outside. Even during the SPLM struggle, when we talk about the 1991 massacre, SPLM committed more crimes to Nuer’s than any other people! Even more than the Arabs! There is what is called the GAJAAK massacre, then there was the Lou massacre, (at this time who were running the SPLM? was it a Dinka majority? TAP) no there were Nuer’s as well. These massacre’s involved killing people in thousands. They would collect a whole family and put them in a house and drop a bomb! That’s why now the Nuer still think like ok, the government wants to do the same thing again. Then there is massacres in bantil which is a unity state. In jongole there has been massacre of Nuer, also in malakal. So almost everywhere you go, there has been a massacre of these people. But they never communicate about it because they like to keep quiet and demonstrate their strength on the battle field. Even when we had the independence, the killing was still continuing you know! They would find people and shoot them . So the tension has been rising, but people were not talking about it because they are not allowed. So if you look at it, it was part of silencing of democracy, because it wasn’t only the Nuer’s or politicians getting killed, other people were being targeted and getting killed too, activists mostly. Tap: we remember you actually got in trouble last year when you went back home. Yea the situation in South Sudan is very complicated. The president is really scared of the Nuer people because they can militarily organize themselves and fight. So if they can manage to silence them, then he can rule for years. But if you look at it, it’s not a Dinka-Nuer battle. This is not a Dinka- Nuer war. This is how they generate fear. They make it a Dinka -Nuer war but it’s not. (Tap: So what is it, an economic influenced war?) It’s an economical war twisted in a political way and they are bending it into tribal. Once you make it a tribal war, then you’ve made it easy to sell. (Tap: you normalise it, it becomes another African story, it becomes another tribal war in south Sudan and everybody turns away and walks.) Exactly; because if you look at political prisoners, they are a mixture of many tribes. They are people who are vocal about having a free country, a democratic and accountable state. That’s why they are in jail because they are asking the president to provide accountability and transparency in the country. You look at the wife of Garang, she was the one who came out smartly and said; look, this is not a tribal war. You know! If you look at it, her family members have been tortured by the government, the only reason they allow her to fly is because it’s too embarrassing for the government if they put her on house arrest completely. And this is a Dinka strong family. The situation (in camps) is terrifying; I could try to put you in contact with one person if you want. Child soldiers are going to happen again,unfortunately. Because in a situation like this, there would be no schools. And children are easy to recruit into fighting because they are at that adolescence stage you know,with adrenaline, you want the violence you know, it’s fun! The adrenaline for violence is too strong. So that will happen if nothing is done. The sad thing is that the world is watching, just watching. I don’t even know his whereabouts. I haven’t spoken to him. I just let people talk bro. I’m for justice and equality. My mom is Dinka, my dad is Nuer, I have a child whose mom is Dinka, so why should I choose to hate one side and love one side? I can only stand for what is right, for justice, for the people of South Sudan in general. Yes of course, why would I keep quiet, because if he’s doing that and he’s killing other people and I keep quiet, that’s destroying the country because it’s not going to bring any peace. My interest is justice, equality and freedom for all. That is my interest, the people of South Sudan are my interest, Dr Machar is not my obsession. I’m encouraged by the civilians; the only hope left is us the South Sudanese people. For example, civilians have been protecting each other. There is this Dinka girl I met yesterday, whose family members hide two young Nuer kids during the Juba massacre. They couldn’t help their sister, their sister died. And so she told me that’s what the family did. Her dad and her mom did that.They risked their lives in Juba to protect this two boys. The same girl lost her relatives in Bentiu, my home area to the rebels! There’s more successful stories where families survived because certain families risked their lives. So you hear stories like families have been rescued in the Nuer areas like if you go to Nasir or Bentiu ,you find commanders that have been protecting their collegues and people are firing at them. So that’s the beauty, we have people who are conscious in the country. Who said no, this is not how it is. The government is the one that’s very ruthless. President Kiir will use all means to silence people and poke at the democracy. Any person weather you are Dinka or Nuer, you speak against the government you are dead. So certain people choose to keep quiet. Because the majority of them they wouldn’t wanna speak up against the government. I have a few friends like Joseph Kao, because of his association with me, because he speaks, his life is in danger.They want to kill him. He is in Canada. They are targeting him because he speaks his mind. And then according to them he is a rebel. They say never step in south Soudan, we will slaughter you like a chicken. There’s more young people speaking up, people like Nyabuoy Gatbel, You need to interview her too if you have a chance. She is an activist and a top model in Canada too. She’s one of the people that are speaking out without fear. But most people are scared , they don’t wanna open their mouths and speak up. They talk behing the scenes about what they don’t like but they don’t want get out and say it in the open. That’s the problem. But again, that’s why Im speaking up. A few people come and join me and we speak up and shade light on the issues. We will be organizing rallies everywhere soon. Komla is just luminary. Yes, I was the last guy he interviewed. They say that a luminary is a man that would always make you smile and make you feel good when you leave. Komla always welcomed you during the interview and by the time you leave he would never had made you upset. This guy is a guy who make s you speak what is in your head and respects your opinion. It’s sad to see a great man go down. I’ve been trying to contact his people; I think he got a stroke, that’s what I’ve been told. I expect to speak to his people today so I’ll get more information. Go to Emmanuel Jal’s website www.wewantpeace.org and sign the petition to help bring peace to South Sudan. (Emmanuel has a book and a movie relating his ordeal as a child soldier in South Sudan; I recommend them for a better and accurate account of his life) Emmanuel is also a spokesman for Amnesty International, Oxfam International and a proponent for the coalition to stop the use of child soldiers. He recently received an international peace award from the United Nations and has been invited to speak to many places including the white house. For more information on Jal’s story, music, performances and calendar, kindly visit his official website below.